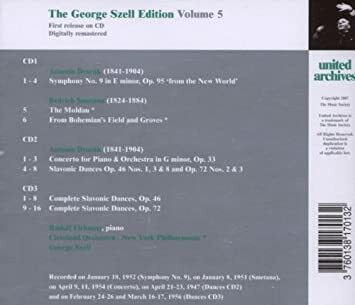 While I had Szell's LP recording of Dvorak's Piano Concerto in G Minor, Op. 33 with Rudolf Firkusny, piano and Szell/Cleveland, I wanted to test out these United Archives CDs of Szell (I previously had the Koussevitzky, Volume 1 on this label and it was excellent). The transfers for the Szell material on this volume (No. 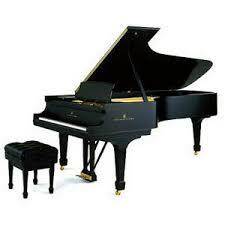 5) includes the Dvorak Piano Concerto. All the remastering has been done by Lani Spahr who, apparently had to give up his remastering work from the LPs because of legal problems spoken of elsewhere on this board (the large George Szell thread). I would never know this recording came from a Columbia LP [ML-4967] because it is so well remastered. I cannot imagine that whatever Sony would release of this work would be any better. If you can read the back liner of the CDs' total program above, all are with the Cleveland Orchestra with the exception of two sections from Smetana's Ma Vlast (The Moldau and From Bohemia's Fields and Forests), which is with the New York Philharmonic. I also listened to the five Slavonic Dances that conclude the piano concerto disc, and again, was overwhelmed by the superb sound of the Cleveland.